Game Day Fun at Nocatee’s Super Bowl XLVIII Party! 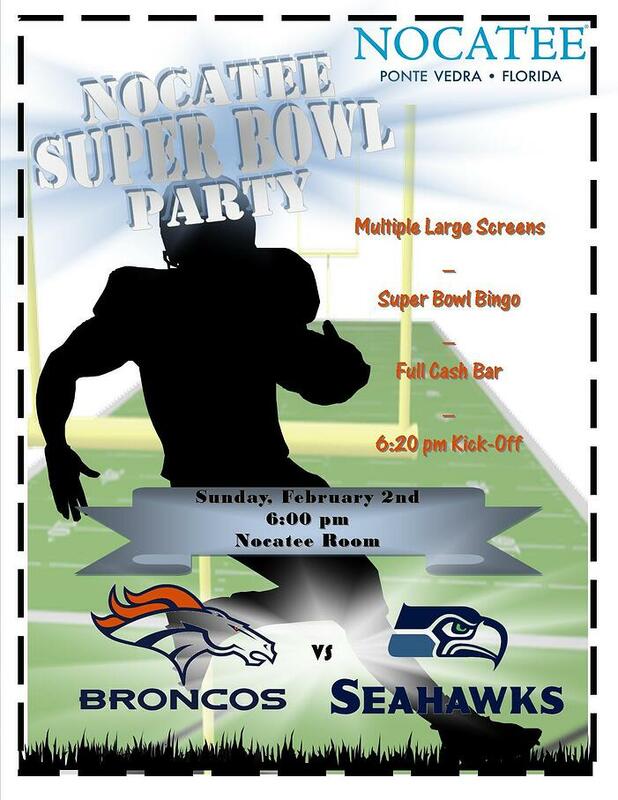 Nocatee is excited to offer a fun and convenient way for residents to enjoy the Super Bowl this Sunday - Nocatee’s very own 3rd annual Super Bowl Party at Crosswater Hall! This resident event is perfect for both families and football enthusiasts excited to cheer on the Denver Broncos and Seattle Seahawks as they compete for the title of NFL Super Bowl XLVIII Champions! The party begins at 6:00 p.m. in Crosswater Hall’s beautiful Nocatee Room, as kick-off is slated for 6:20 p.m..
Only at Nocatee can residents and their guests enjoy a fun night at home, complete with multiple large-screen TV’s (so you’ll never miss a play, or any much-talked-about commercials), a full cash bar and lite snacks! Also available for those feeling lucky, a chance to participate in a round of Super Bowl Bingo! Residents, admission is free. RSVP for this annual event to fun@nocatee.com. See you Super Bowl Sunday, Nocatee! To learn more about Nocatee, stop by the Nocatee Welcome Center or call 1-800-NOCATEE.